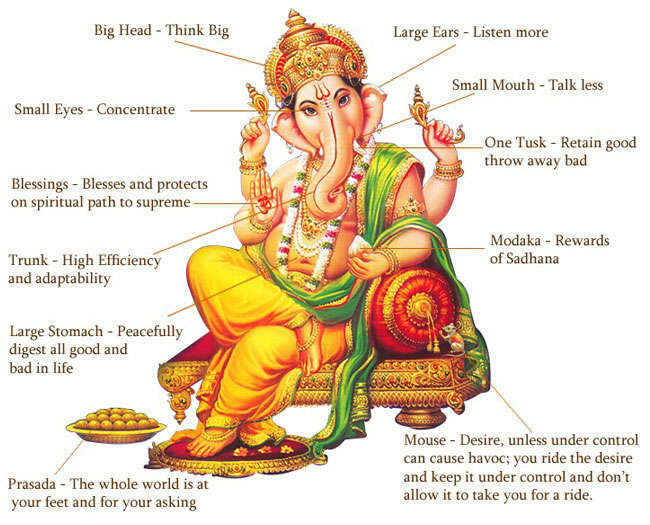 Ganesha is worshipped before the beginning of any endeavor. He gives the necessary skill (buddhi) to do the task and bestows success (siddhi) to the effort. Upon intent meditation, the form of Ganesha symbolically reveals many noble truths. The trunk of an elephant, which can carry heavy logs of wood as well as pick up a thin blade of grass, represents the subtle discrimination we need to distinguish between the real and the illusory. The little mouse he rides on represents our own ego, which should be a small but efficient vehicle to take us around in the world, but should be inconspicuous and subservient to wisdom. Ganesha’s form is revered as the very personification of the symbol Om the representation of the universal spirit. Right now I am in to too many projects and cannot find sufficient time for more classes. Here is a humble request to share, by any chance if you are having collections of soulful rendering of kamakshi navavarana krithis of Swami Deekshitar sung by great maestros it will be a great help. Hello madam, your blog is really very informative thanks for all such information,presently iam into carnatic music from past 3 years and i no where have this much of knowledge about music which you shared in your blog. Madam can you please suggest me how can i improve my voice since i couldnt able to manage higher notes and iam in the learning stage of varnams and if possible can i have your lessons so that i can practice more. Hope to hear from you ..Thnks again . All these issues are addressed in this blog several times. Kindly go through Carnatic Music Lessons Page / Carnatic Raga Appreciation Page. Most importantly read the questions in the comments session and the answers given by me in these pages. Same question has been asked by many and answers written. If you are living in Ernakulam / Kerala, you can come for classes directly. I am not committing online classes as I am busy with other projects and teaching assignments. It is Ghanaraga Pancharatnam Krithis composed by Muthuswamy Dikshitar in Ragas Nattai, Gowlai, Arabhi, Varali and Sri. They are as follows.